This is one of our favorite dish on Pantalasa when sailing San Blas Islands. We keep fixing and savouring it very often on board. 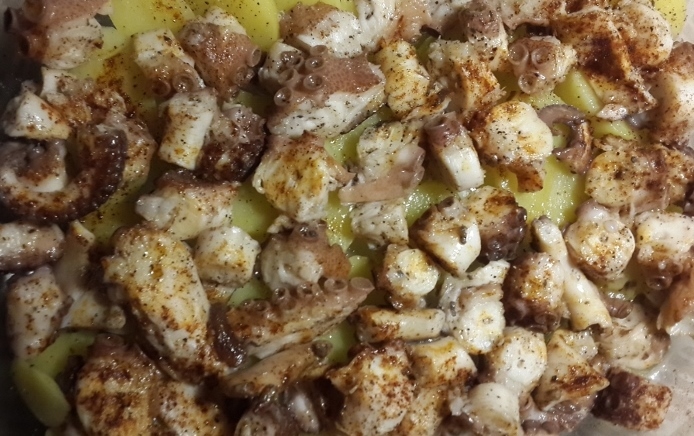 Luckily, we find almost all the ingredients in the San Blas Islands: octopus, potatoes, sea salt, extra virgin olive oil (well, we buy this in Panama City) and Spanish sweet paprika (part of our luggage on our yearly trip to Spain). This Galician style octopus is a pretty easy but very tasty recipe from Galicia, one of many good reasons to visit this beautiful Spanish region, where you can try delicious ‘tapas’ of “pulpo a la gallega” in most of the bars, restaurants and street stalls. 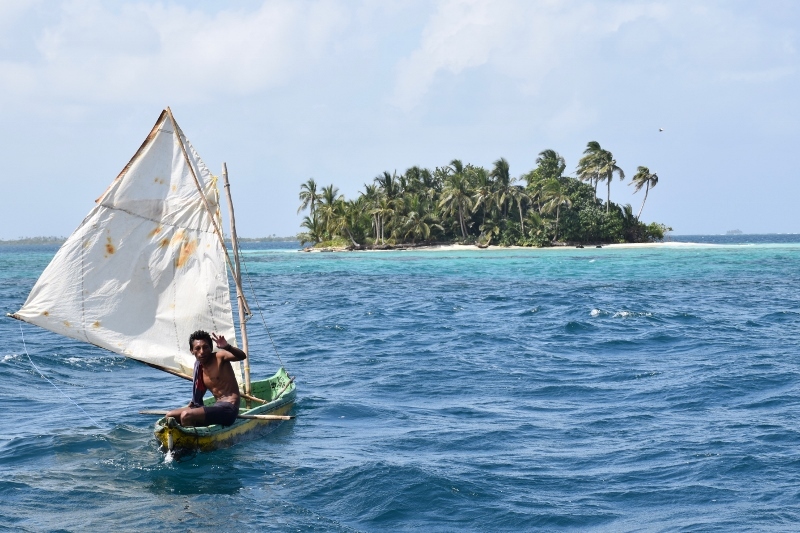 Sailing the San Blas Islands, gives us the chance to eat the freshest fish and seafood ever, directly from the sea, either caught trolling when sailing from island to island, sometimes spearfished during our snorkel sessions or bought from the Kuna fishermen, undoubtedly the authentic fishing artists! 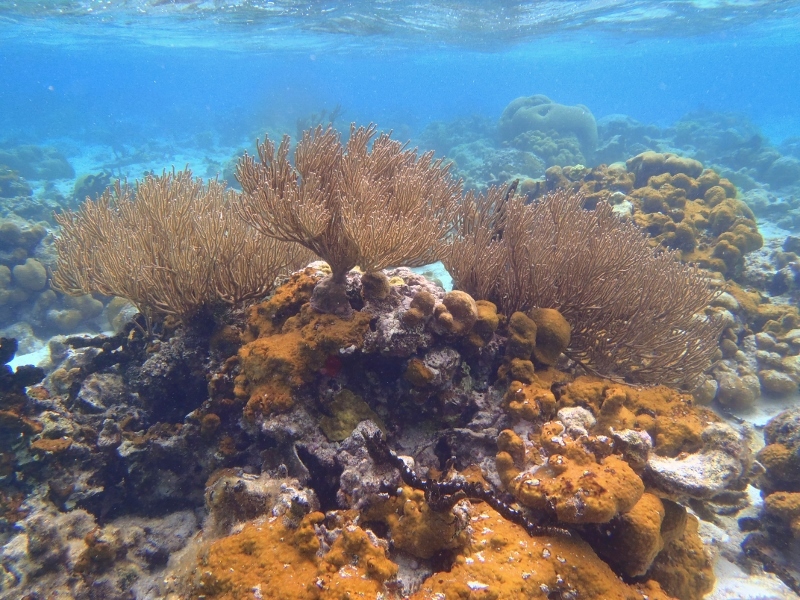 After eight years sailing San Blas, we have seen all kind of tropical fish, rays, dolphins, but octopuses are very difficult to spot during snorkeling. Honestly, I don’t think we may have seen them more than three or four times. A different story, is when you ask a Kuna fisherman to get you some octopus. He will reply with conviction “listo!”, which means, “no problem” and get away on his canoe to come back after a little while with two or three octopuses. In addition, they catch it with a sort of fork fasten to the end of a stick. In short, there is certainly octopus in this archipelago, but make sure you are nearby a Kuna fisher if you want to eat Galician style octopus in your next sailing trip to San Blas.